If you're ever in need of relationship advice or something or someone to console you during a difficult time with love, it's pretty obvious who you go to: Adele. The 27-year-old singer has released some of the most beautiful and emotional songs about love that are a go-to, especially if you just want to cry your eyes out during a heartbreak. However, did you know that Adele doesn't just sing about love and relationships? That's right, there are a ton of Adele quotes about love and relationships proving she is wise outside of her songs, too. Whether she's talking about her significant other, Simon Konecki (which is very rare, FYI), opening up her heart in an interview, or just being her candid and blunt self, there have been several times Adele's discussed the subject of love outside of her music. With that said, here are some quotes straight from Adele that you'll probably relate to and can use whenever you need some words of wisdom. Also, it might help to pretend like she's is your best friend IRL and imagine she's talking to you directly. Come on, you know you already do that every time you listen to one of her songs. I know I'm not the only one hoping she'll just emerge out of my computer or phone and give me a personal concert. Anyways, let's talk L-O-V-E with Adele. As she told Fair Lady Magazine in September 2011, "I had to come to terms with the fact that I'd met the love of my life but it was just bad timing." While chatting with The Guardian, Adele also spoke about how she got over an ex, and it's all thanks to Konecki. She said, "My love is deep and true with my man, and that puts me in a position where I can finally reach out a hand to the ex. Let him know I’m over it." If you've ever wanted to learn how to love again, here's what Adele told The Guardian in November. She said, "It sounds obvious, but I think you only learn to love again when you fall in love again." Oh yeah, I used to f*cking love the drama of all of it, but now I'm a mum I only have so much head space. I've got to clear a lot of stuff the f*ck out, which is really therapeutic, 'cause I can really hold a grudge. Life is so much easier when you don't hoard your past. Why would you want to be with someone who is negative and judges you? That's not love. As Adele told Vogue in 2011, "I have insecurities of course, but I don’t hang out with anyone who points them out to me." 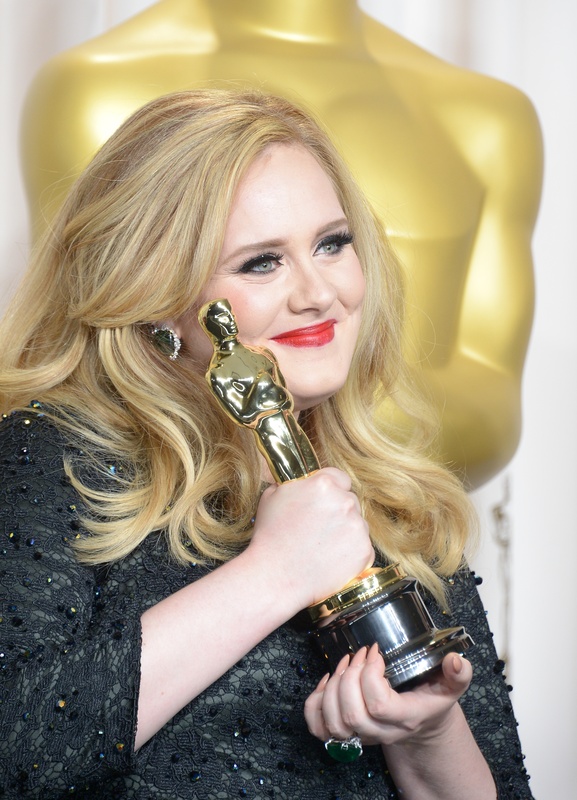 No matter if it's spoken or sung, Adele really knows a thing or two about love.